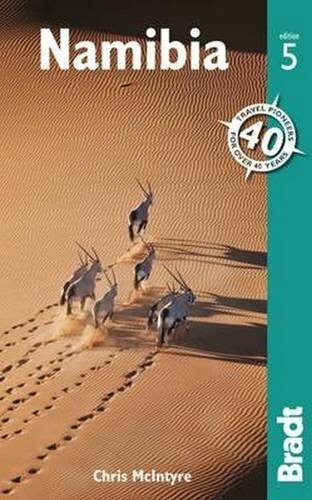 This thoroughly updated fifth edition of Bradt’s Namibia includes all the developments in Namibia’s accommodation, from guest farms and lodges to bush-camps, plus details on areas of natural interest such as the Sperrgebiet National Park. Author Chris McIntyre tempts adrenaline junkies with exciting opportunities for dune-boarding, ballooning and quad-biking in the desert, while the guide details Namibia’s unique and fascinating wildlife, how to visit bushman villages and guidelines on eco-travel. From the desolate Skeleton Coast to the lush Kavango and Caprivi Strip, or the picturesque capital, Windhoek, Bradt has it covered.